Rocks in Place, But Will They Work? These stones don’t cover the whole area where they hope to have grass someday. There is still a problem with vehicles parking against the sidewalk on the right side in this view from Lot #2. This view was taken from the north facing south at approximately 10:35 AM on Wednesday, July 9, 2008. 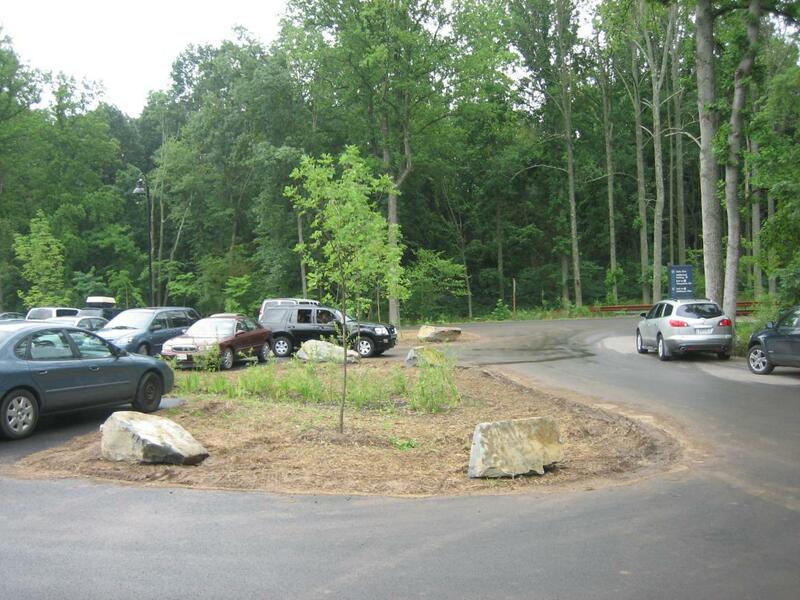 The Gettysburg Daily briefly stopped by to see the progress on the large stones being placed in the parking lots at the new Gettysburg National Military Park Visitor Center. The stones are to keep vehicles from parking off the pavement, and on the grass/mud. 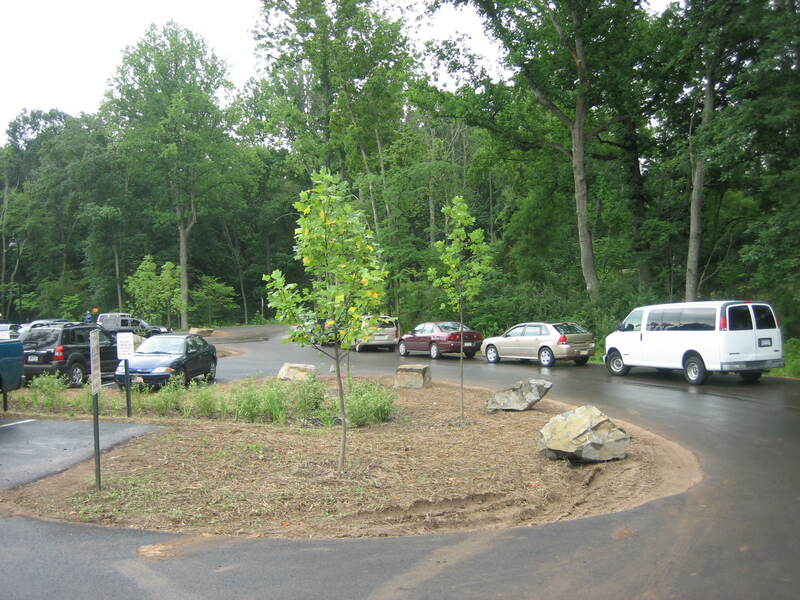 For the Gettysburg Daily’s previous attention to visitor center parking, see our posts on May 3, 2008, and July 9, 2008. Again, at Lot #2, there are not enough rocks yet. However, there is a larger problem here. The black SUV on the other side of the rocks is a family who doesn’t know where to park. The signage does not lead them to Lot #3. Eventually, they parked ahead of the other cars against the sidewalk on the right side. This view was taken from the north facing south at approximately 10:35 AM on Wednesday, July 9, 2008.